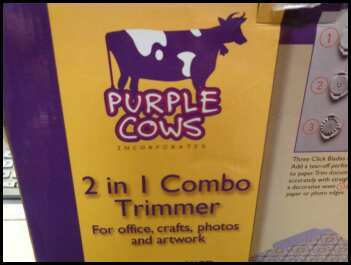 Sure, but does it cut cow-shaped purple steaks? Who knew paper-cutters could be fanciful? This modest tool carries on its box a purple cow, and proudly aligns itself with hereforeto unknown parent company “Purple Cows.” I have no analysis to speak of, I’d just like us to take a moment to look and contemplate and perhaps chuckle at this piece of material culture.